New. 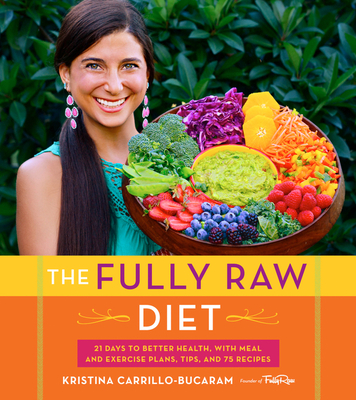 The Fully Raw Diet offers a 21-day plan to help people enjoy a clean, plant-based, healthful approach to eating. Kristina Carrillo-Bucaram transformed her own health by eating vegetables, fruits, nuts, and seeds. 100% fresh, raw, and ripe and she is now the vivacious, uber-healthy founder of the FullyRaw brand. Num Pages: 256 pages, full colour illustrations. BIC Classification: WBJ. Category: (G) General (US: Trade). Dimension: 228 x 203 x 16. Weight in Grams: 454. 2016. 1st Edition. Paperback.....We ship daily from our Bookshop.